Hunza Holidays well known leading tour operator in Pakistan. Since 2000, we are working in the field of tourism industry for a wide variety of tourist. Our welcoming and highly professional staffs has vast experience in handling a diverse range of departures from mountaineering expeditions to the summit of K2, the world’s second highest mountain, through to trekking, jeep safaris, camel caravans, yak safaris, cultural tours and ecotourism and event management. We are from the region, where lie the great Karakorum, Himalayan, Hindukush, Gilgit Baltistan, Kalash Chitral, Naran valley and Swat valley. Hunza Holidays offering personalized itineraries and routes you’d be hard pressed to find a more experienced, fun loving, safety conscious tour operator in Pakistan .If you’ve dreamt of a particular journey or an adventure in Pakistan, let us know. We’ll make it happen. No matter how bizarre, wild or difficult. If you choose to travel with us all you have to worry about is having the time of your life. Our Team backed by years of experience is conscientious, aware of the needs and requirements of the group and, interact and communicate freely to provide better service leading to a complete outdoor experience. We have lead Cultural tours, Trekking, Mountaineering, rock climbing, bicycle camping tours, Backpacking trips, Rafting adventures, Yak Safari, Jeep Safari, Camel Safari and have Trophy hunting extensively, at all altitudes. 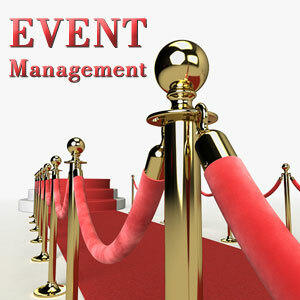 Event management is our additional expertise and experience of international and national. Our staff members have trekked the very same mountains, glaciers and explored the same wilderness you will, when you embark on your adventure. So whether you are on a trek over a 5600m high passes, or scouting a big raging rapid, our guides are trained, and more importantly, have the foresight backed by years of experience, to ensure your safety. They are well acquainted with the rigors and rhythms of an adventure trip. Watch out; their adventure spirit is quite contagious!